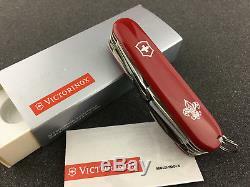 Victorinox Swiss Army YEOMAN BSA (Boy Scouts of America) DISCONTINUED MODEL - New in Box! First time out of box was to take these photos. Blades never opened since leaving the factory - perfect mint! This model no longer made, and a rare BSA knife. This knife is from a box of older/vintage SAK's that I've had for many years. 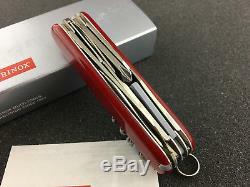 This knife is exactly as it came to me from Swiss Army Brands, and in the original box. 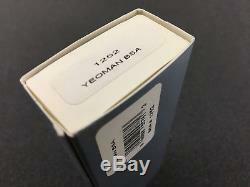 An eBayer sent the following information concerning this listing for the Yeoman. Hi there, I wanted to let you know that this listing is incorrect. 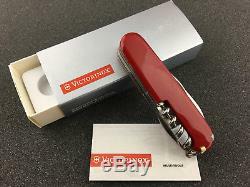 The model pictured here is the Victorinox Explorer, and not a Yeoman. The Explorer is a commonly available model that is still in production, The Yeoman is a rare in discontinued model. 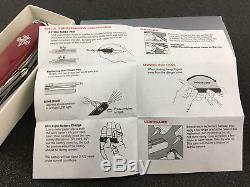 The difference is that the explorer has a cap lifter/wire stripper and can opener/screwdriver as two separate implements, while the Yeoman has neither and instead offers a combo tool in place of the small blade. The Yeoman has a combo caplifter/can opener instead of a small blade. 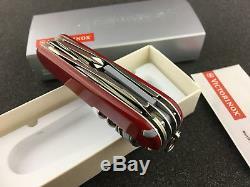 The one in the photo from your listing appears to have a small blade, and separate can openers/cap lifters (Explorer). The Yeoman is a 3-layer knife, the Explorer a 4-layer knife. 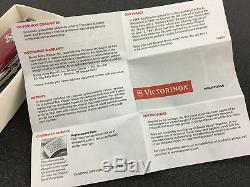 Here is more info about the mixup from SAK Wiki's Yeoman page. 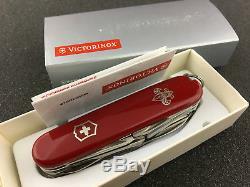 The distributor Swiss Army Brands is largely considered responsible for confusion around this model. 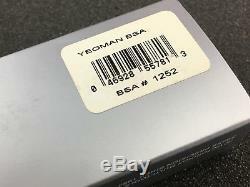 Old incorrect photos of the BSA Yeoman are often used in advertising for the BSA Explorer. 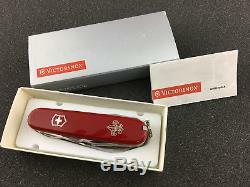 The item "RARE Victorinox 91mm Swiss Army Knives YEOMAN BSA BOY SCOUTS Knife 1252 NIB" is in sale since Friday, October 26, 2018. 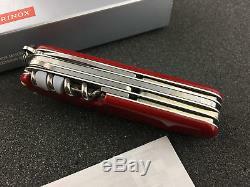 This item is in the category "Collectibles\Knives, Swords & Blades\Collectible Folding Knives\Modern Folding Knives\Factory Manufactured". The seller is "ironmistress" and is located in Meridian, Idaho. This item can be shipped to United States.